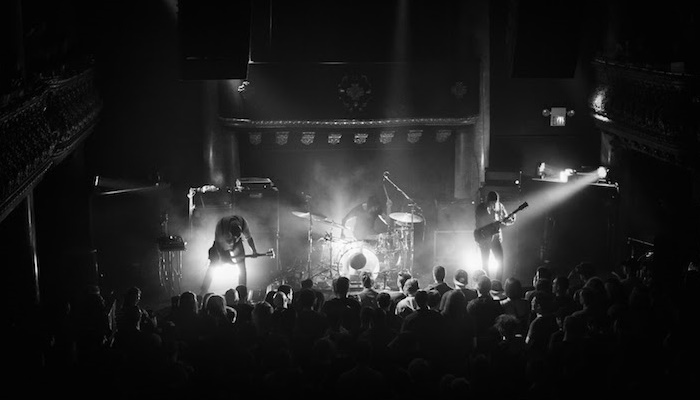 Last year, Chicago power trio Russian Circles unleashed a riling live set packed with beloved fan favorites and deep cuts at Belgium’s Dunk! Fest. Now immortalized with a nine-song live LP mixed by Dallas Thomas (Pelican) and mastered by Collin Jordan (Wovenhand, Yob), Live At Dunk! Fest 2016 impeccably captures the sonic magnitude and aural drama of a Russian Circles’ live performance. Check out a promo clip from the album via YouTube and look for Live At Dunk! Fest 2016 to be released on April 7th digitally, on limited vinyl format April 14th; 1,000 total LP copies worldwide, with 350 copies available via Russian Circles‘ webstore which can be pre-ordered here. After over a decade in existence, Russian Circles have maintained a precarious creative process that has resulted in a storied and dazzling catalog exploring elements ranging from harrowing gloom and cinematic majesty to primitive bludgeoning and morose minimalism. 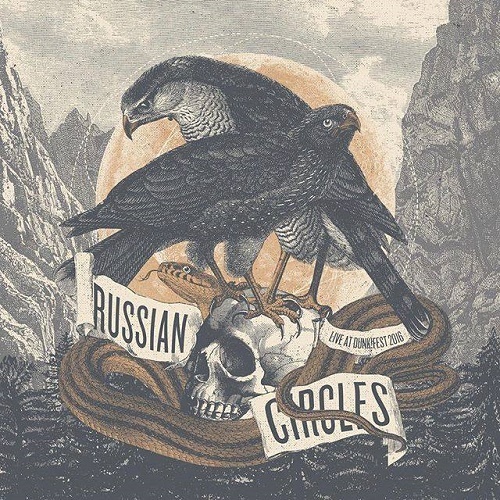 Whereas many bands in the instrumental world are content to cruise with the lush crescendos and washed-out timbres laid out by their predecessors, Russian Circles persevere in their quest to conjure multi-dimensional, textural narratives. Pulling tracks from 2008’s metalloid-fueled Station, 2016’s fierce and freewheeling Guidance, and every era in between, Live At Dunk! Fest 2016 ensnares the broad tonal palette and wide array of emotional motifs that have made Russian Circles a musical stalwart. Live At Dunk! Fest 2016 is due out April 7th on digital and vinyl formats. 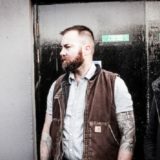 Russian Circles will be touring in North America alongside Mastodon and Eagles Of Death Metal in support of the album, continuing the band’s non-stop road schedule since last year’s release of their critically-acclaimed LP Guidance. Look for more news soon.